The beancurd jelly war is on! Lao Ban Beancurd started the trend with its horrendous 30-minute queue. Then there are QQ and Bonjour. The beancurd war is not only waging at Old Airport market. Lao Ban has a branch now at Maxwell Market and deng deng deng deng! there is also competition here: Bean. Such a simple name. It was 7pm, no queue! I bought an almond beancurd ($2) and after eating, I bought another one and ate some more. Yummy. I love how it is not very sweet, so you won’t get sick of eating it. It’s very difficult to judge which is the best stall among the four. They, in fact, taste very, very similar. But I think since they taste almost the same, I’ll take the one without a queue! 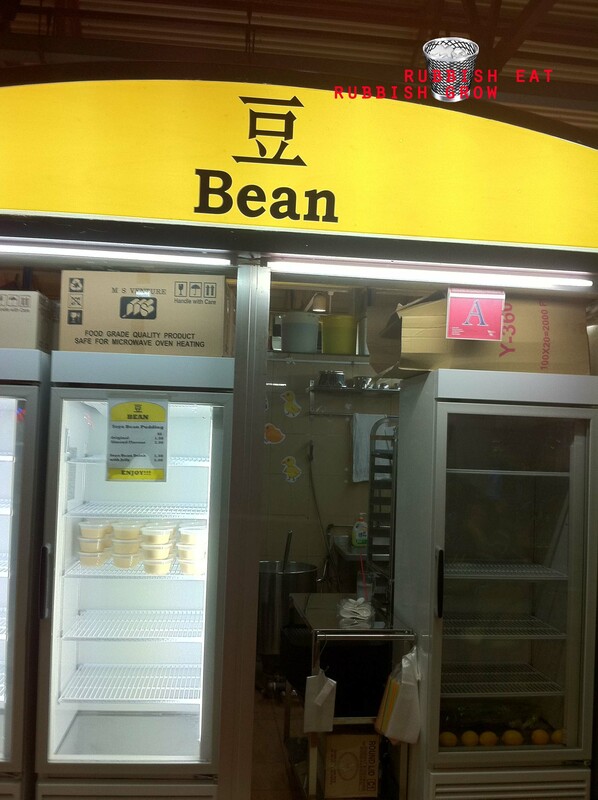 I had tried Bean before Lao Pan open the store in Maxwell. I tried Lao Pan at Max Well after they open the store and found Bean texture is a lot better. Recently I have 2 bad experiences at Bean. I bought 3 servings home and found it all tasted sour. When check with the stall owner, she explained her staff made a mistake and was fired. after 1 month, the same issue happen again. Seriously, I believe they have poor quality control. I will not go back again. We were there when it just opened and when the stall was still managed by the boss herself. And we agree with you that the quality was excellent. Sorry to hear about your bad experience and we’re sorry that the standard has slipped. We are sorry to hear that you got the bad experience with us.Please kindly sent sms to fel at 84187418 with the day and time that you can come to collect your replacement.we believe in providing customer quality product. Anniversary promotion at just $1 each till September. come and try our beancurd….Bean Singapore at Maxwell food centre. Hello. Please understand that our blog is our personal space and try not to advertise like this. It’s like companies selling your phone numbers to insurance companies and the insurances companies call you up. It invades our space. Thanks.